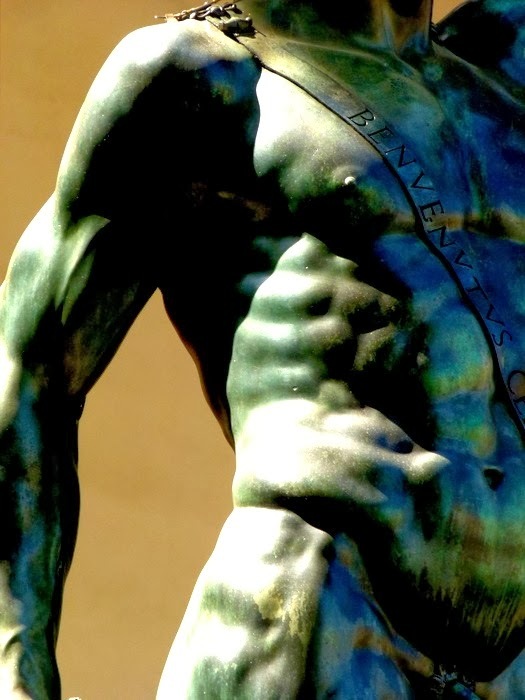 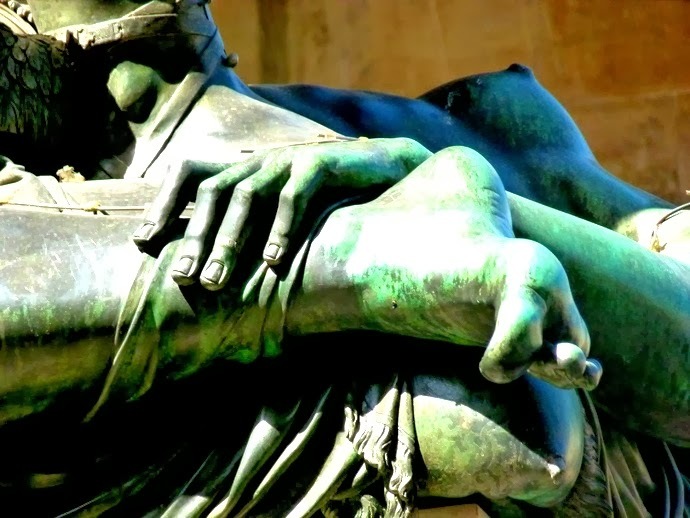 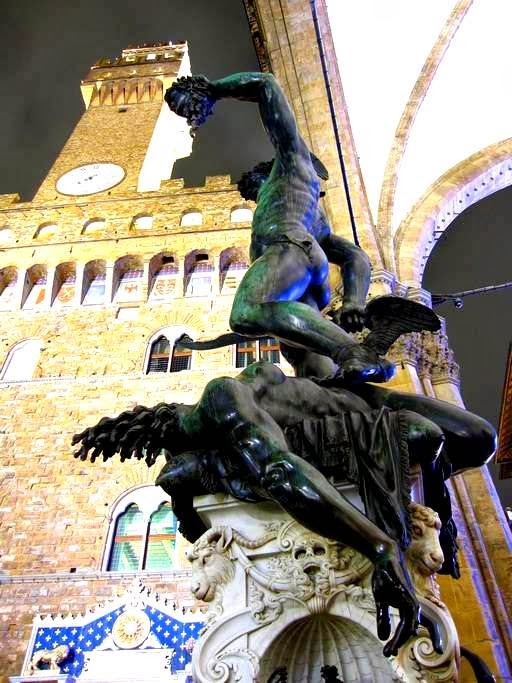 loveisspeed.......: Benvenuto Cellini’s 1545 bronze sculpture of Perseus with the head of Medusa on a square base with bronze relief panels is located in the Loggia dei Lanzi of the Piazza della Signoria in Florence, Italy. 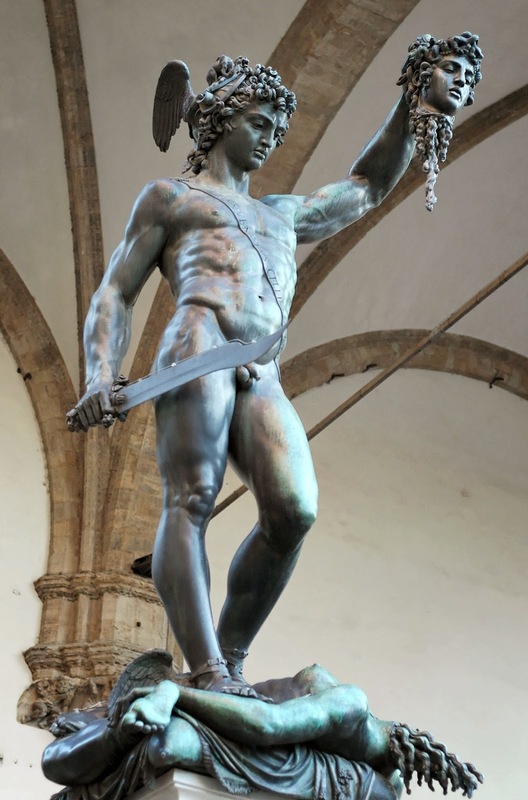 Also, below the main sculptural event a small relief of the story of Perseus and Andromeda resides, similar to a predella on an altarpiece. 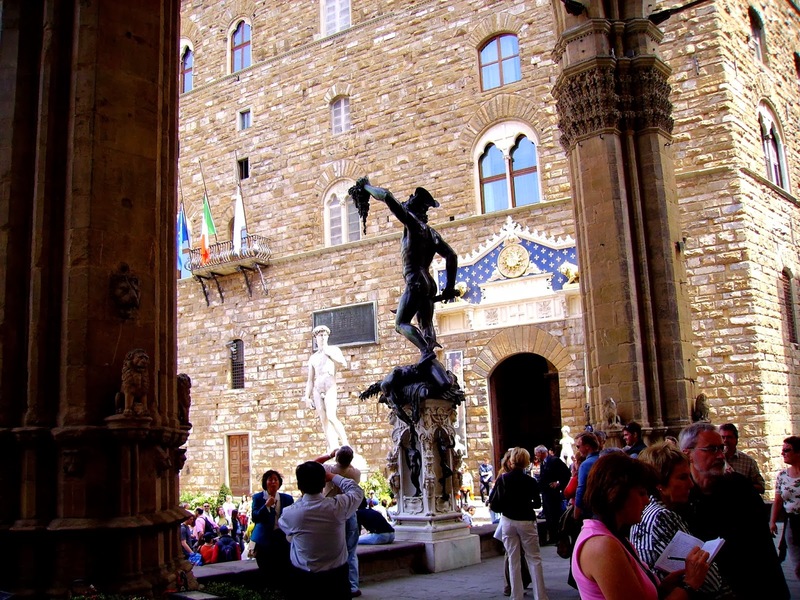 The second Florentine duke, Duke Cosimo I de’ Medici, commissioned the work with specific political connections to the other sculptural works in the piazza. 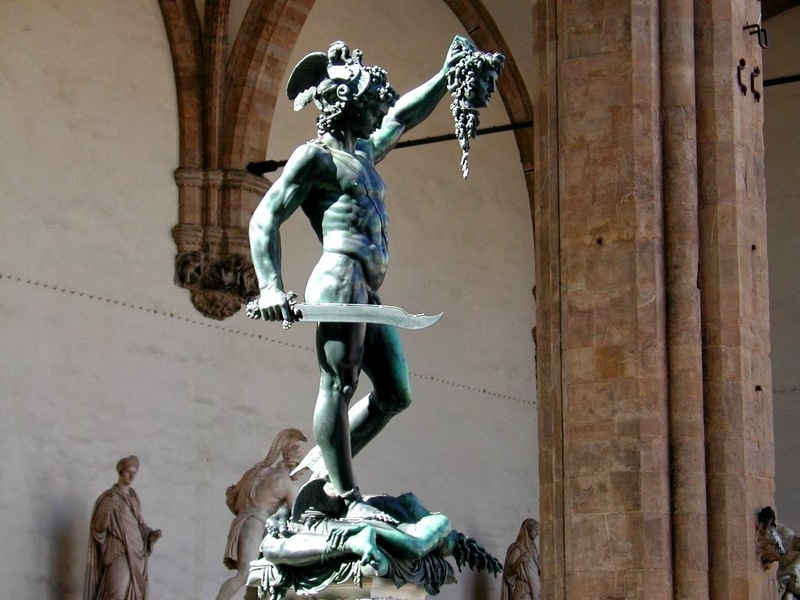 When the piece was revealed to the public on 27 April 1554, Michelangelo’s David, Bandinelli’s Hercules and Cacus, and Donatello’s Judith and Holofernes were already erected in the piazza. 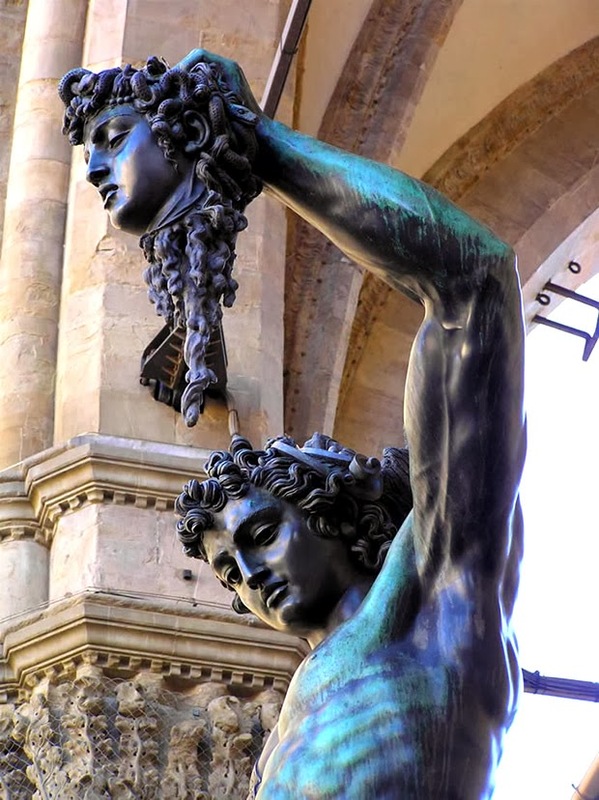 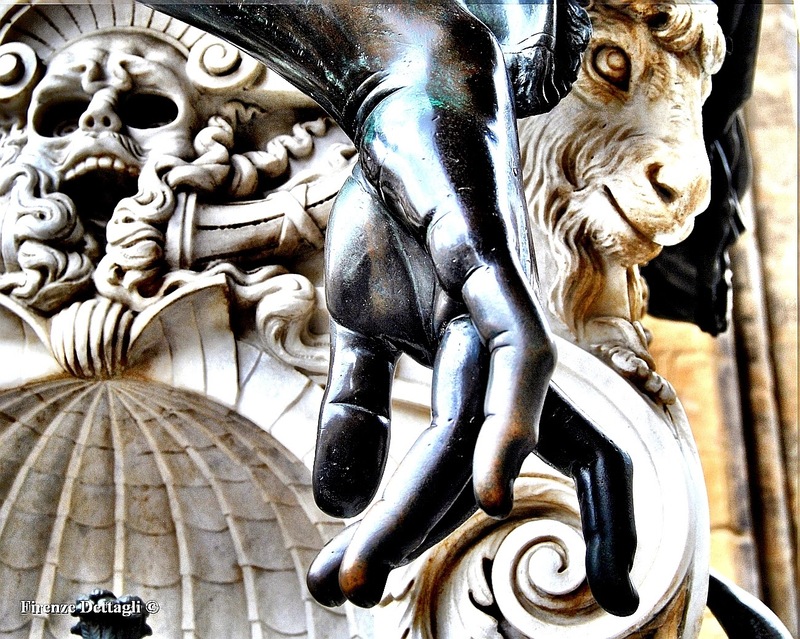 The subject matter of the work is the mythological story of Perseus beheading Medusa, a hideous woman-faced Gorgon whose hair was turned to snakes and anyone that looked at her was turned to stone. 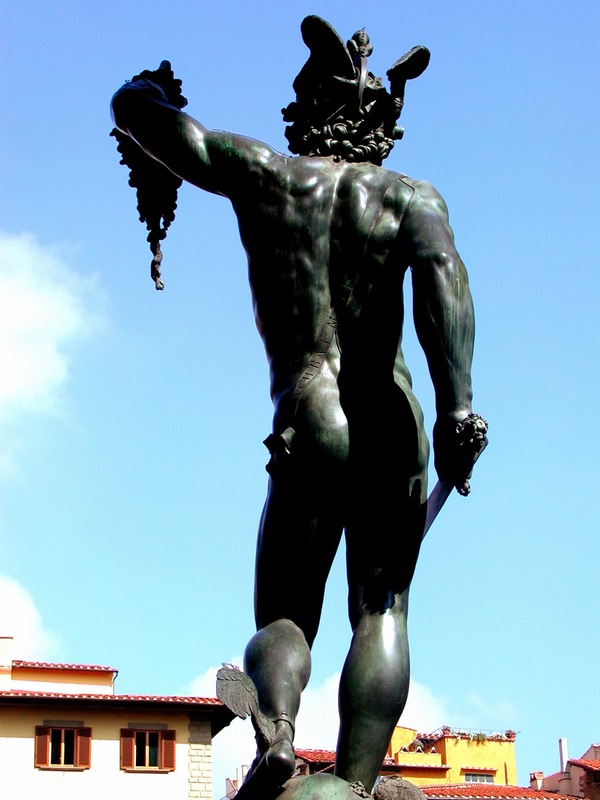 Perseus stands naked except for a sash and winged sandals, triumphant on top of the body of Medusa with her snakey head in his raised hand. 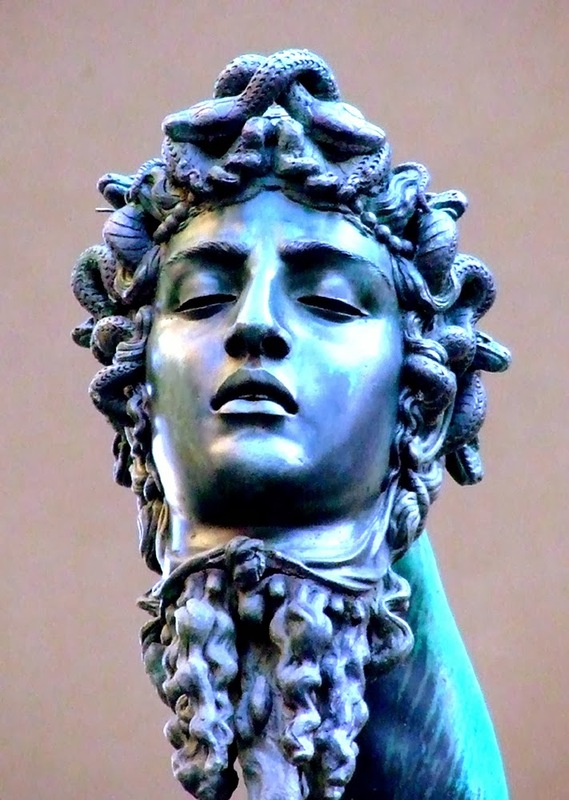 The body of Medusa spews blood from her severed neck. 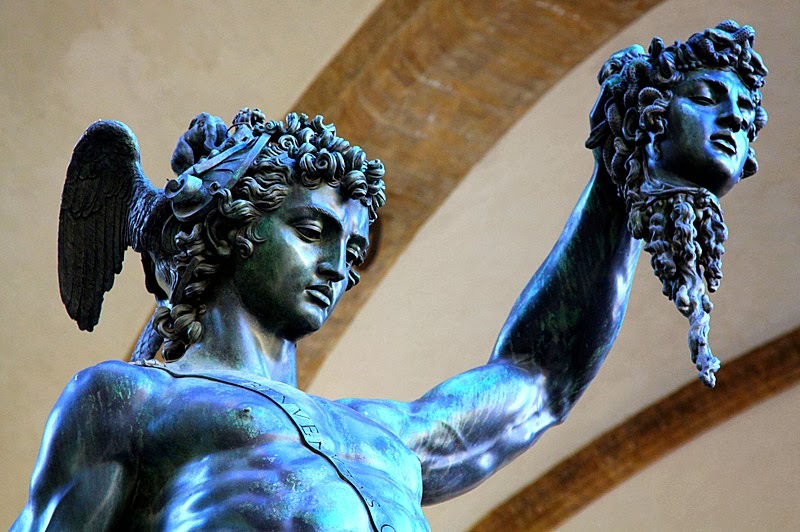 The bronze sculpture and Medusa’s head turns men to stone and is appropriately surrounded by three huge marble statues of men: Hercules, David and later Neptune. 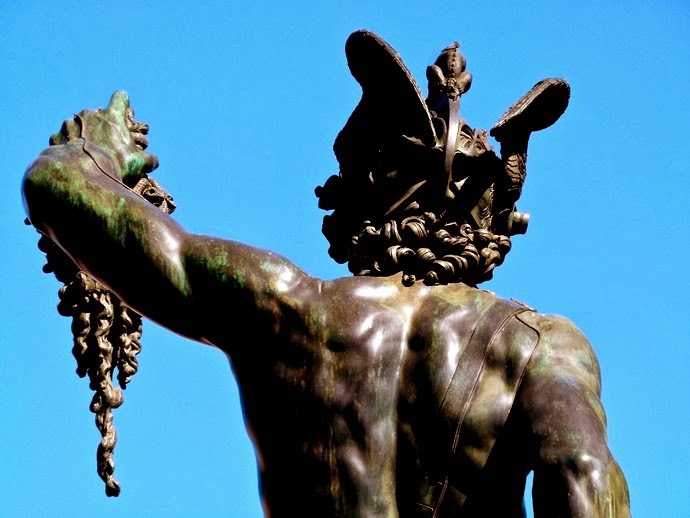 Cellini breathed new life into the piazza visitor through his new use of bronze in Perseus and the head of Medusa and the motifs he used to respond to the previous sculpture in the piazza. 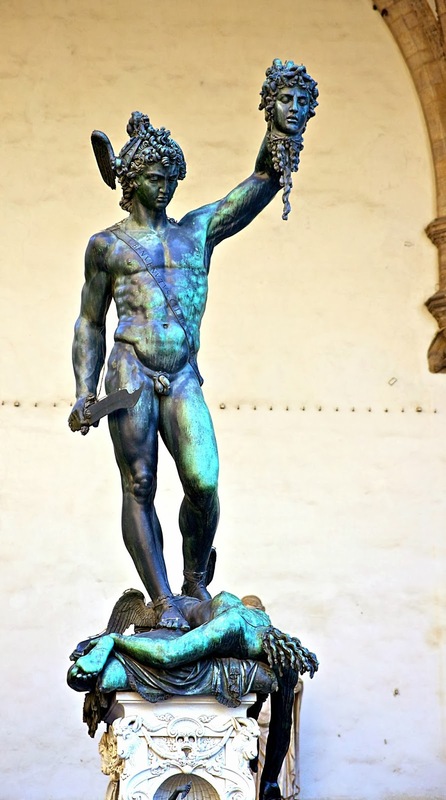 Benvenuto Cellini’s 1545 bronze sculpture of Perseus with the head of Medusa on a square base with bronze relief panels is located in the Loggia dei Lanzi of the Piazza della Signoria in Florence, Italy. 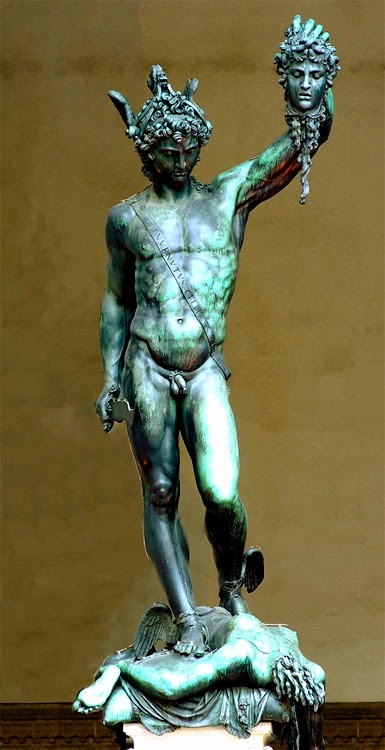 Also, below the main sculptural event a small relief of the story of Perseus and Andromeda resides, similar to a predella on an altarpiece. 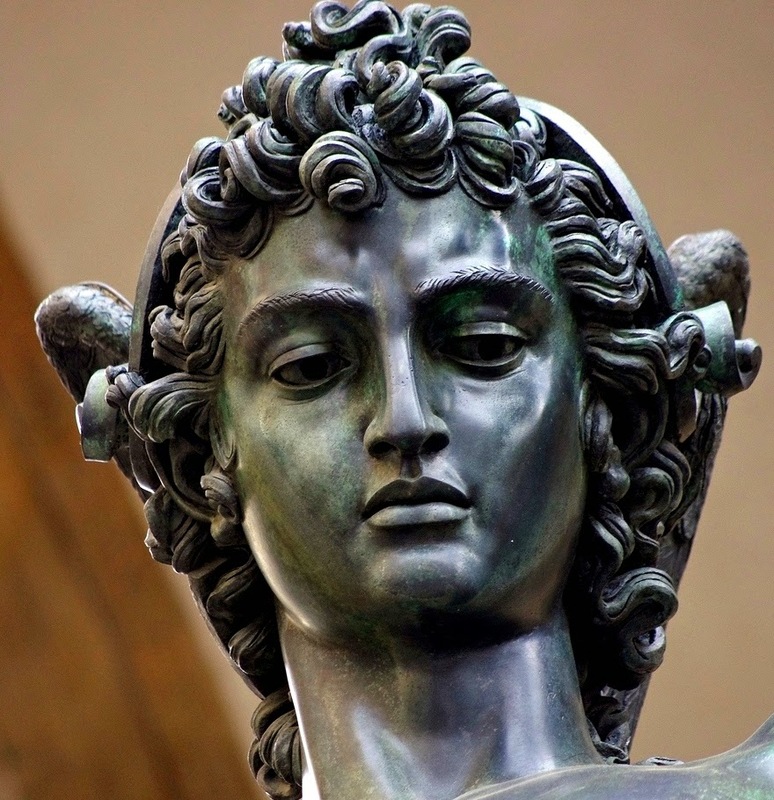 The second Florentine duke, Duke Cosimo I de’ Medici, commissioned the work with specific political connections to the other sculptural works in the piazza. 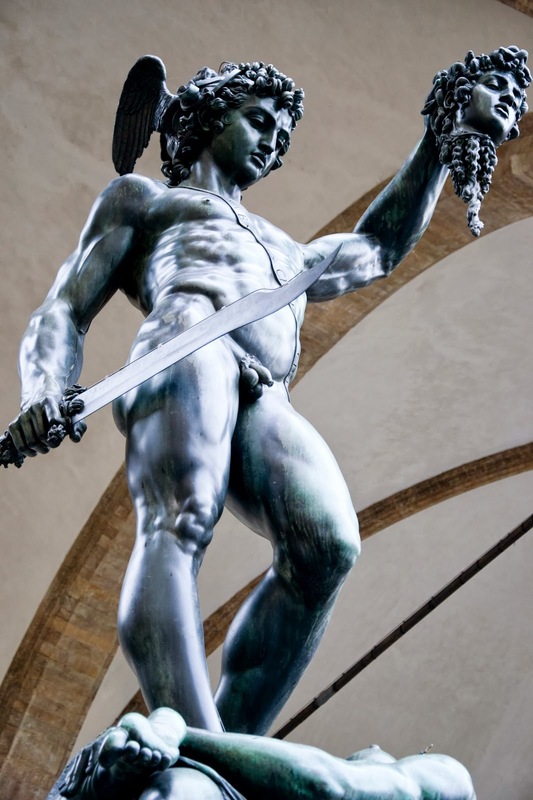 When the piece was revealed to the public on 27 April 1554, Michelangelo’s David, Bandinelli’s Hercules and Cacus, and Donatello’s Judith and Holofernes were already erected in the piazza. 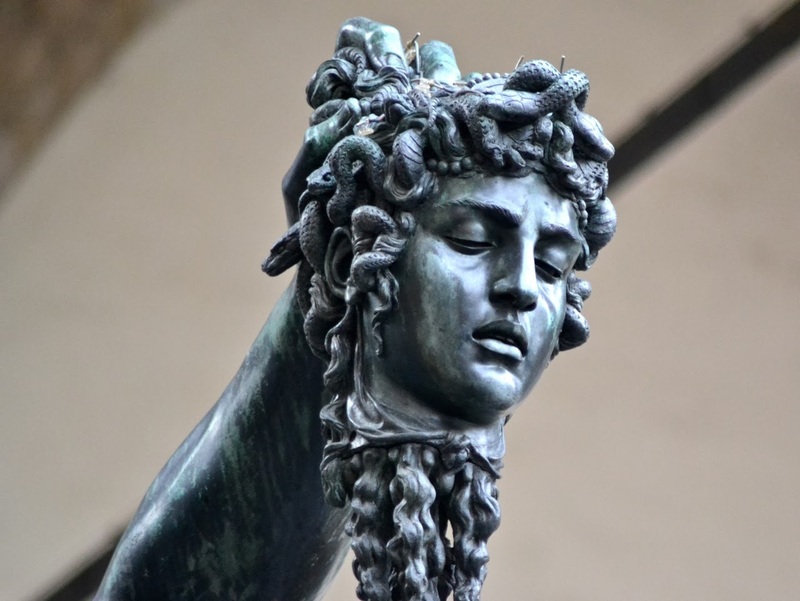 The subject matter of the work is the mythological story of Perseus beheading Medusa, a hideous woman-faced Gorgon whose hair was turned to snakes and anyone that looked at her was turned to stone. 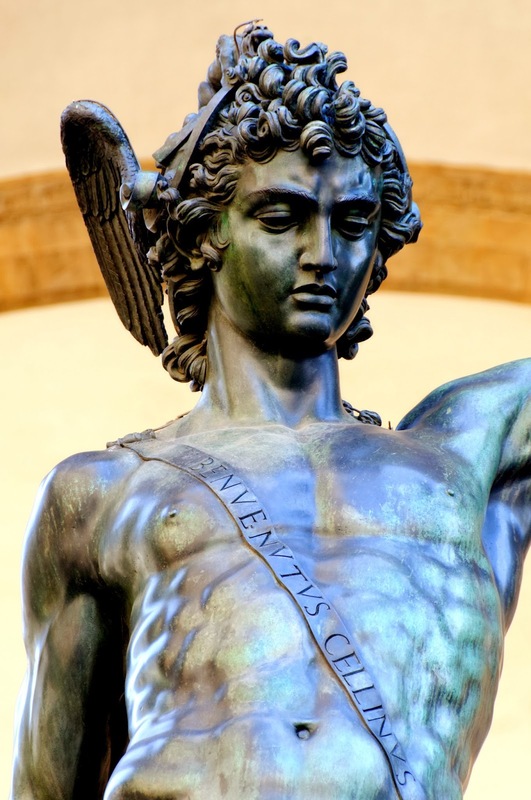 Perseus stands naked except for a sash and winged sandals, triumphant on top of the body of Medusa with her snakey head in his raised hand. 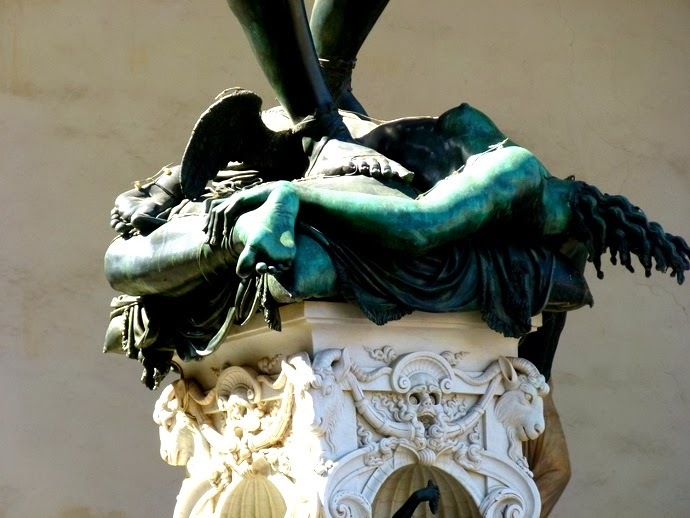 The body of Medusa spews blood from her severed neck. 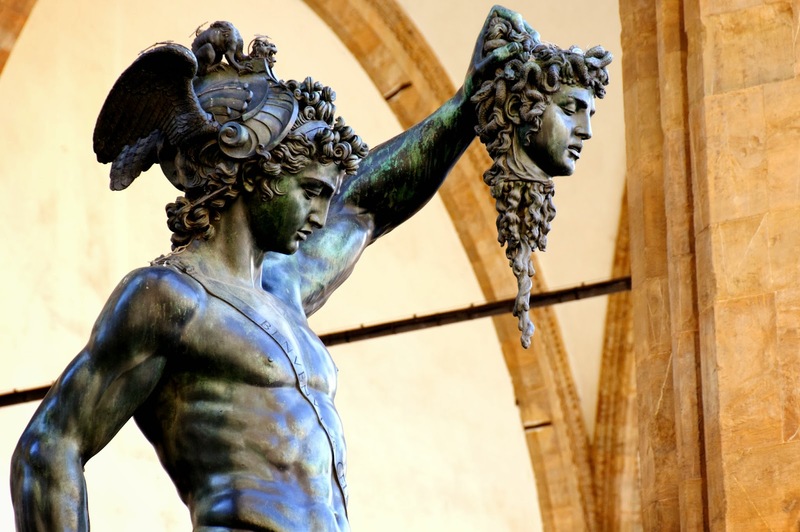 The bronze sculpture and Medusa’s head turns men to stone and is appropriately surrounded by three huge marble statues of men: Hercules, David and later Neptune. 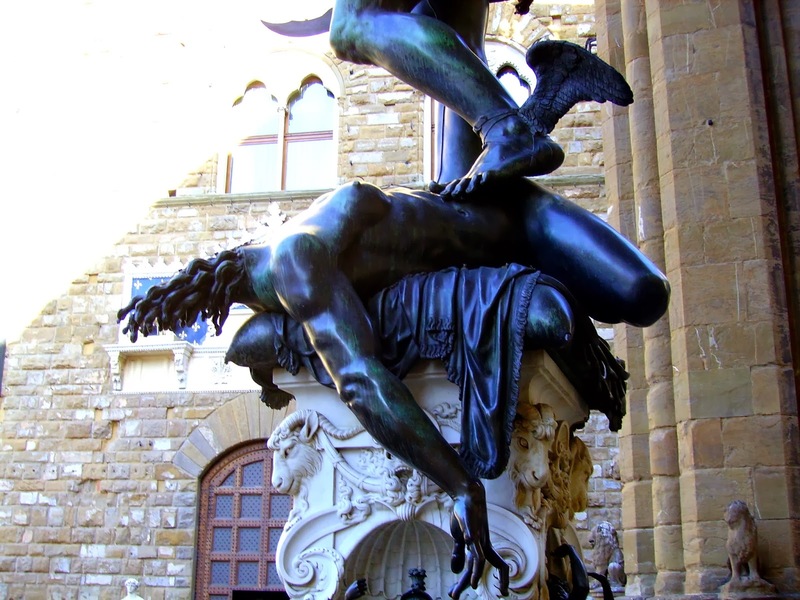 Cellini breathed new life into the piazza visitor through his new use of bronze in Perseus and the head of Medusa and the motifs he used to respond to the previous sculpture in the piazza.